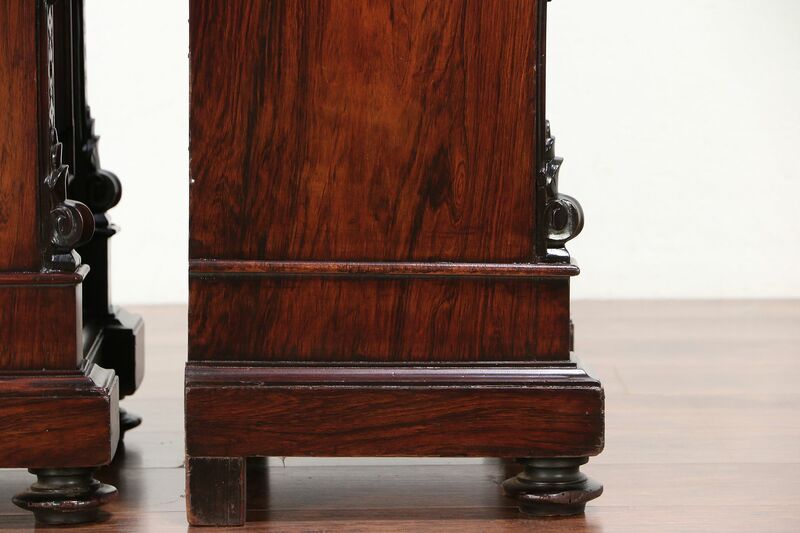 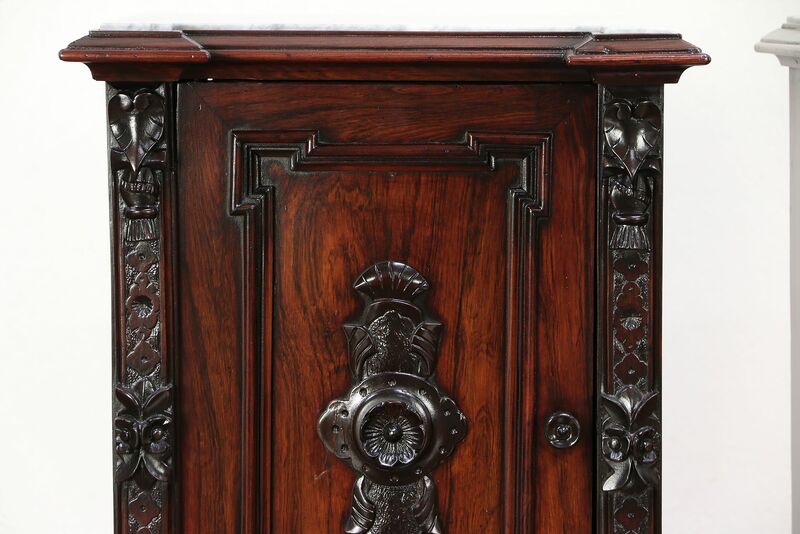 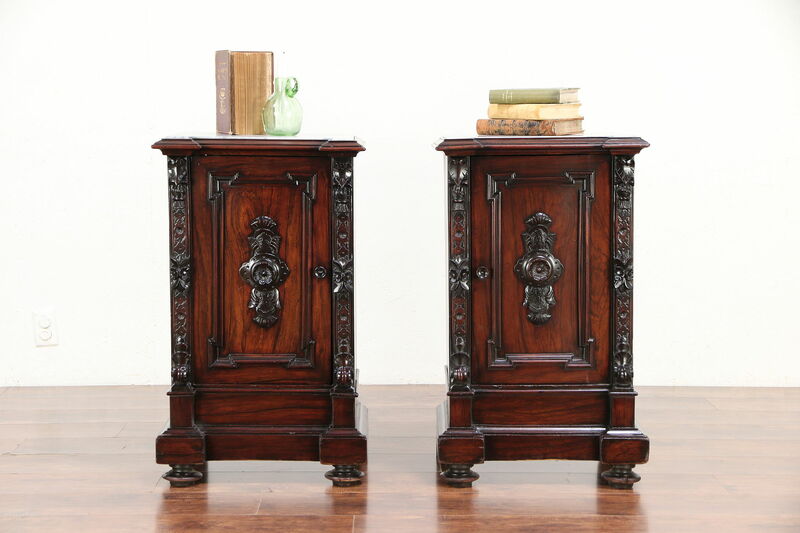 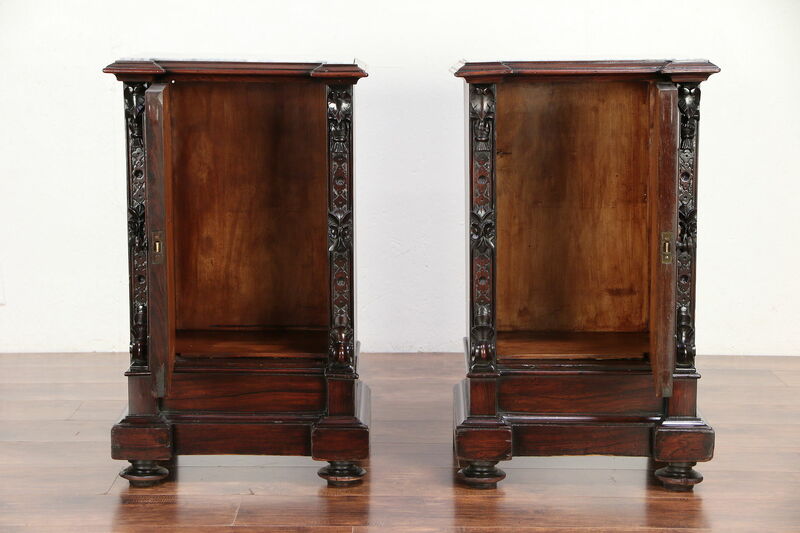 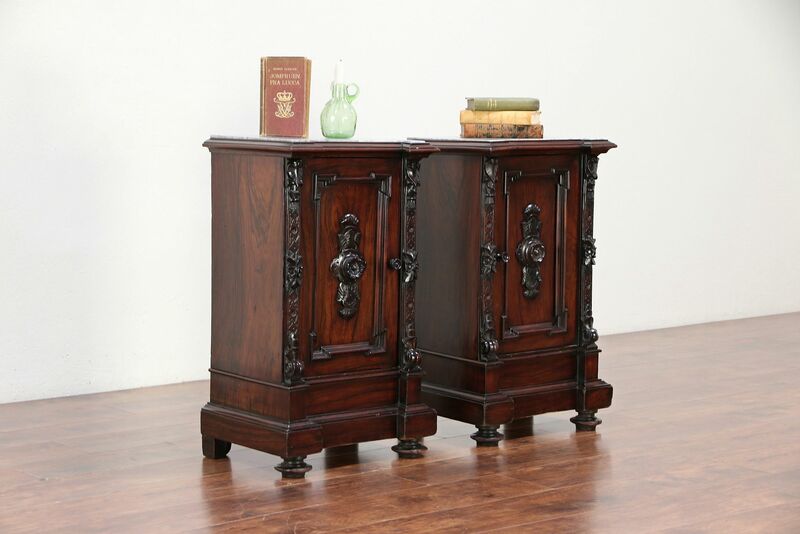 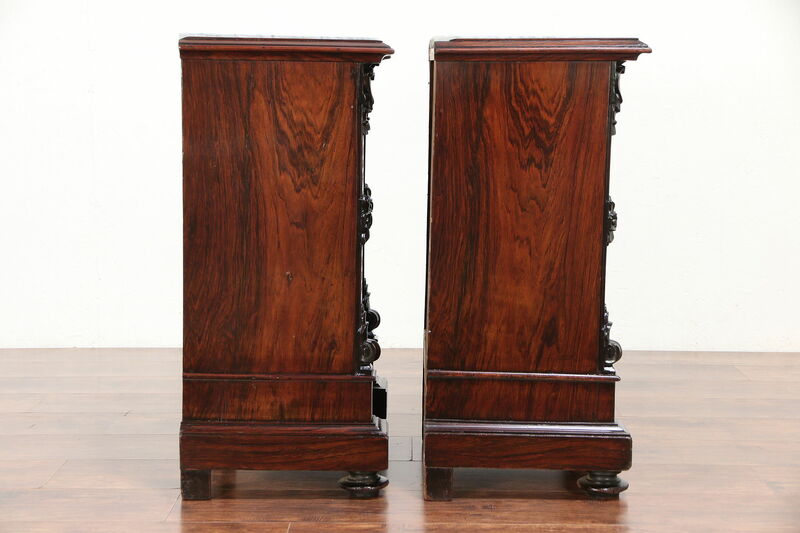 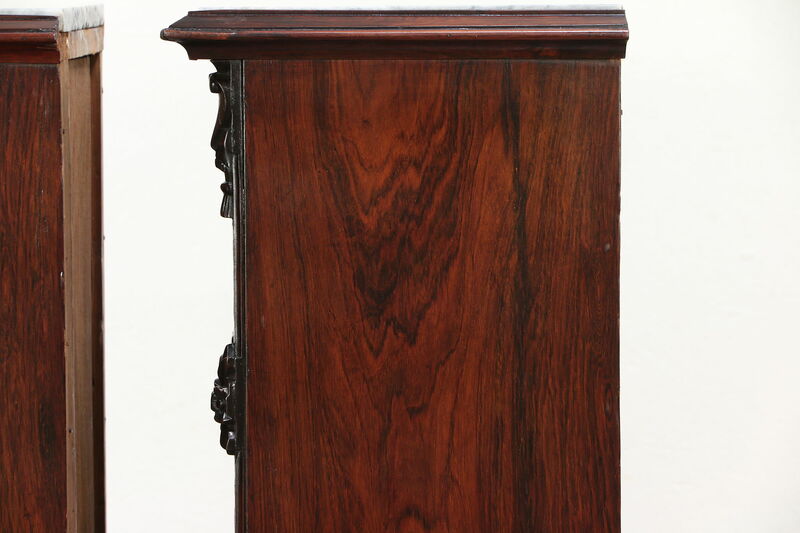 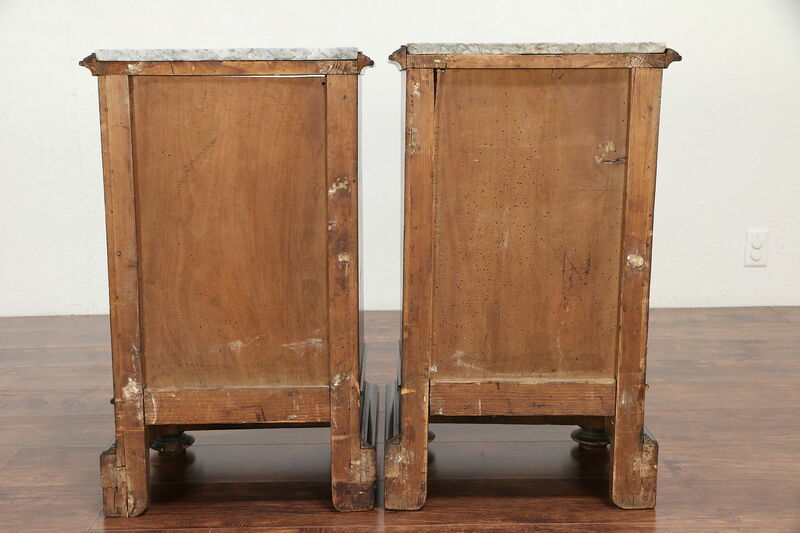 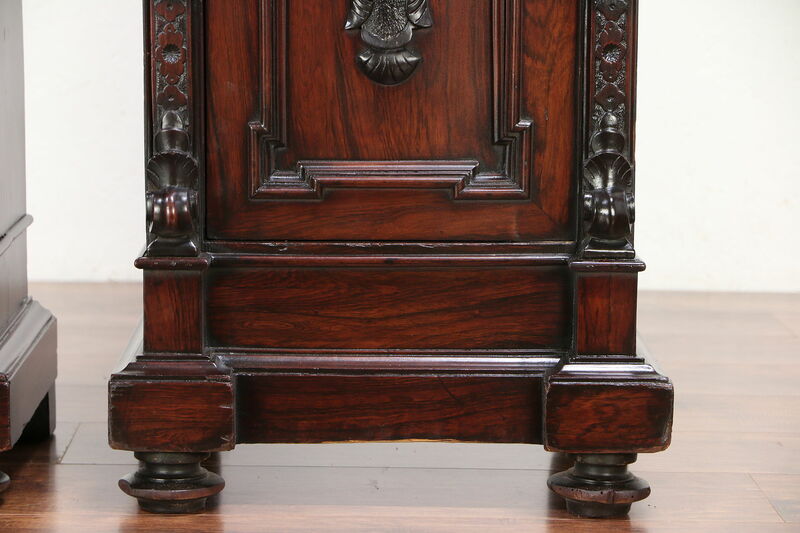 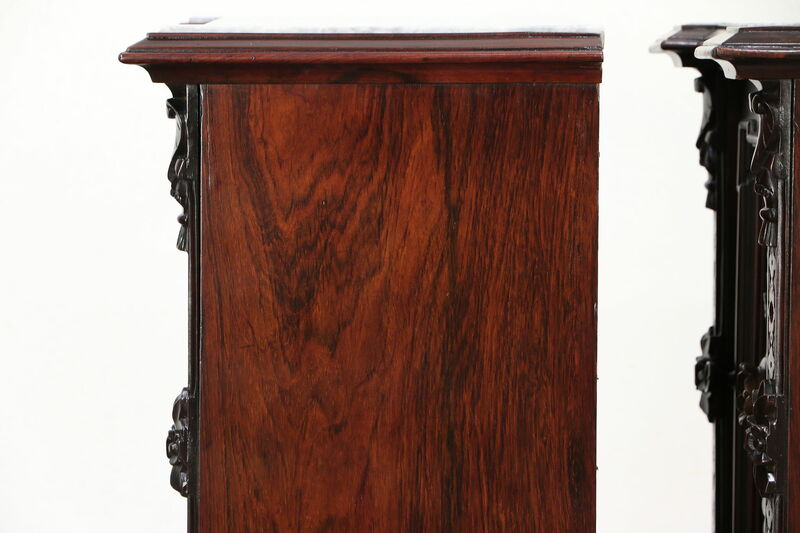 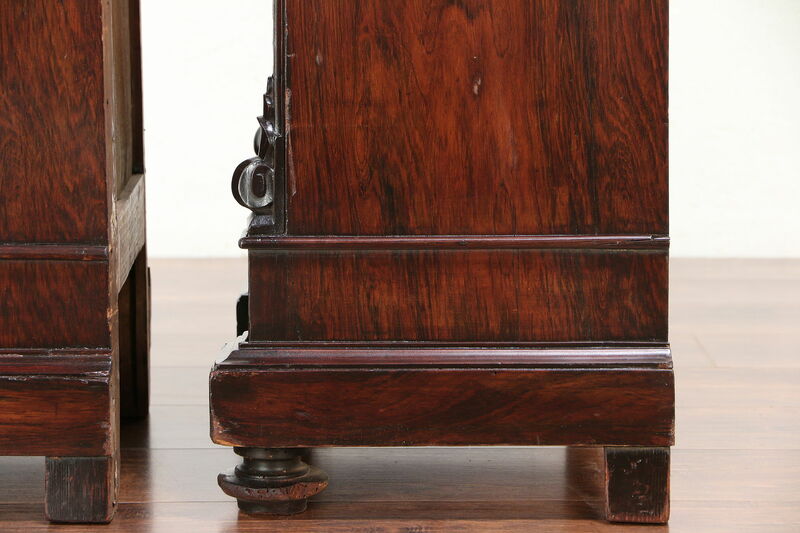 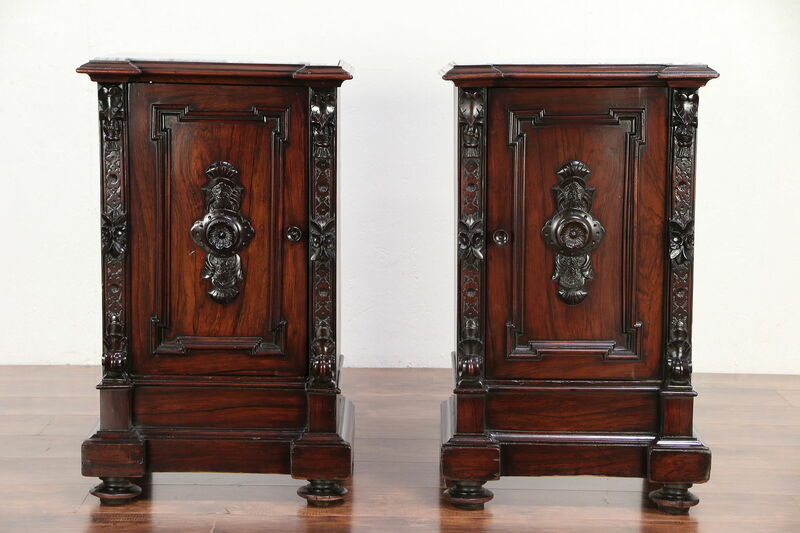 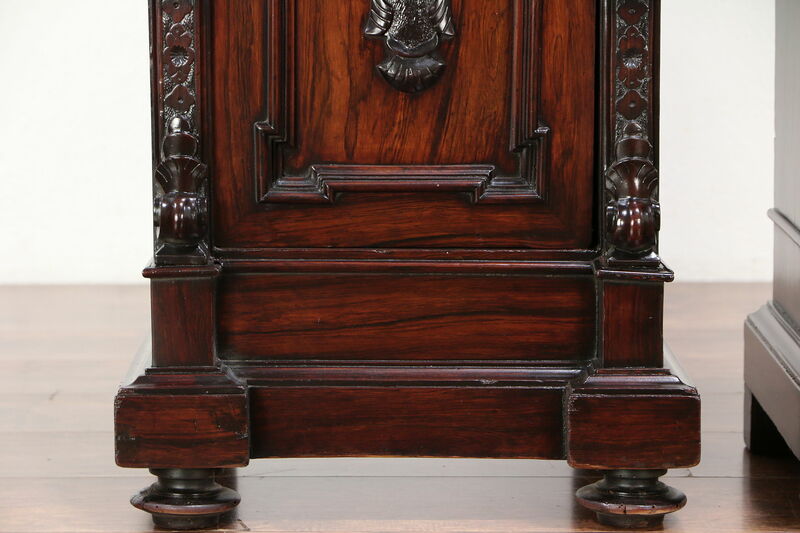 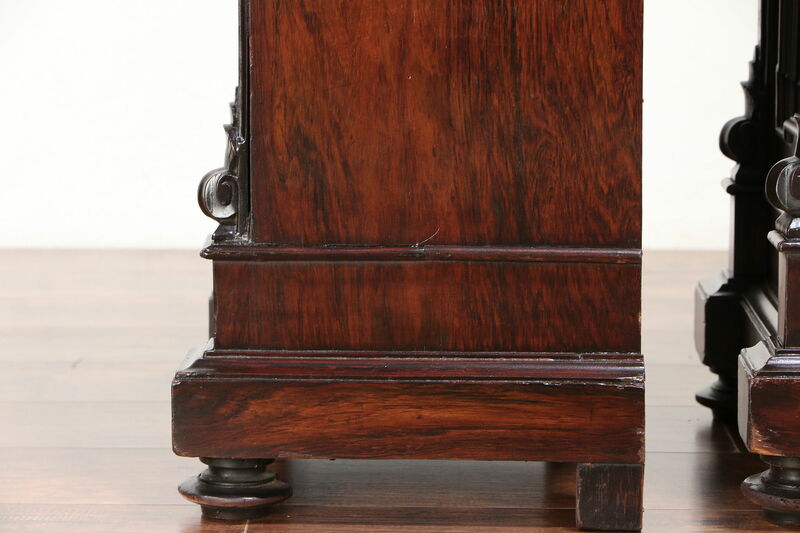 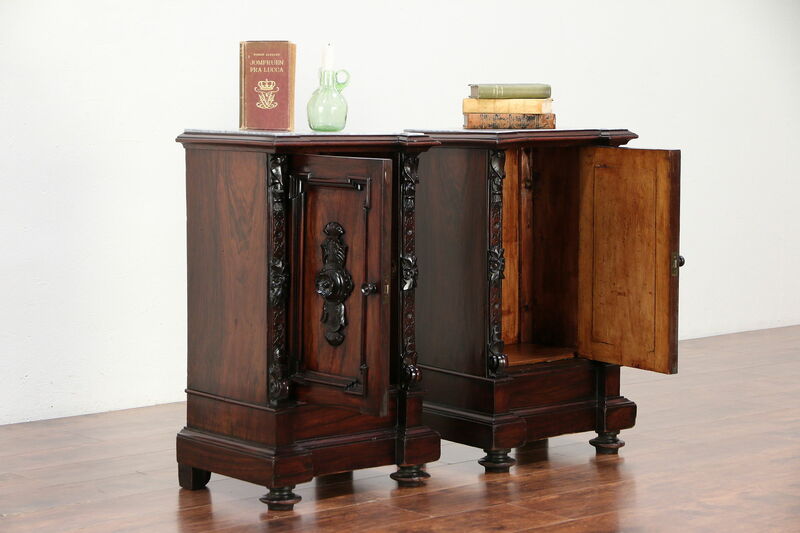 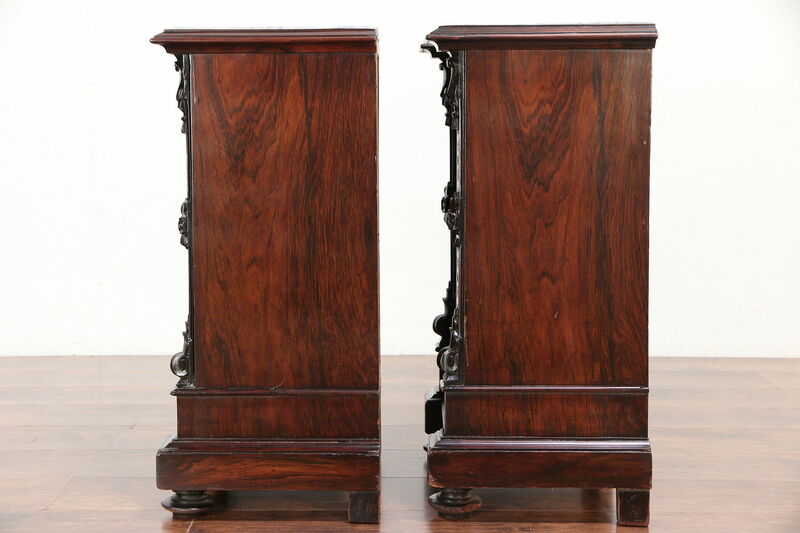 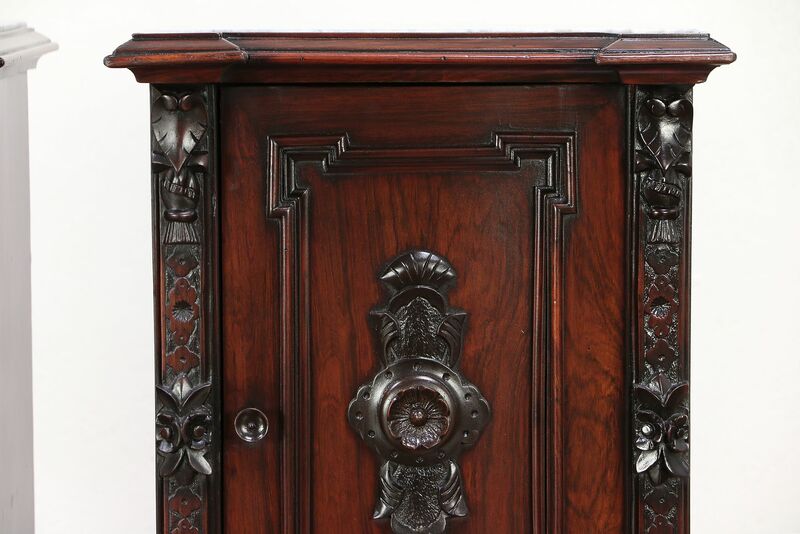 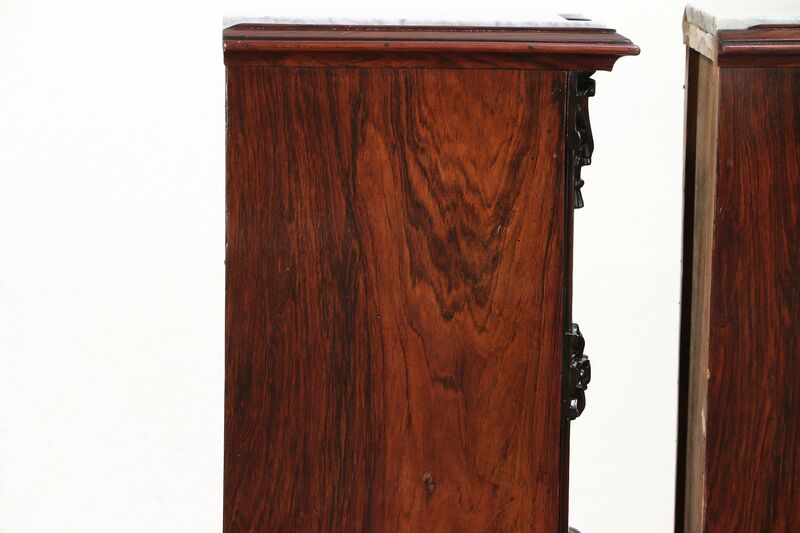 Hand carved of genuine rosewood about 1890, this Italian pair of nightstands or end tables have marble tops. 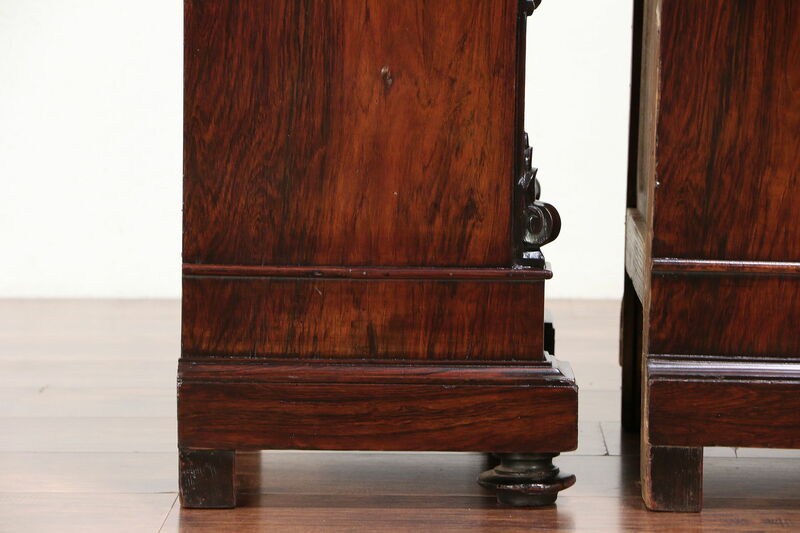 The restored gleaming finish is in excellent condition, preserving a few mars at the edges and shrinkage separations from age for a little antique character, see photos. 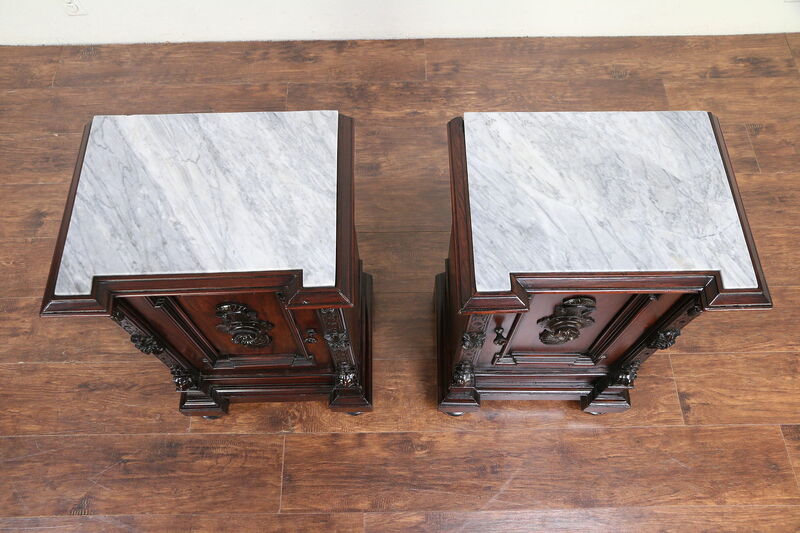 Marble tops have been polished and protected with a low luster finish. 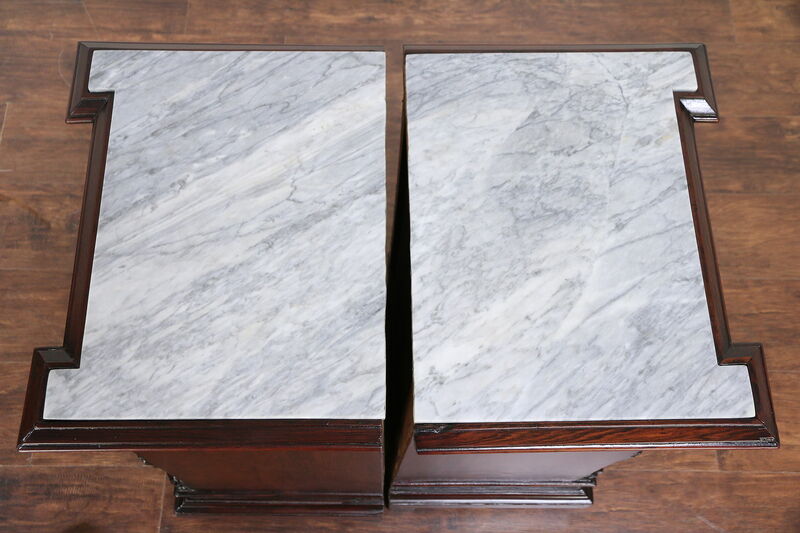 This elegant furniture is a true right and left pair. 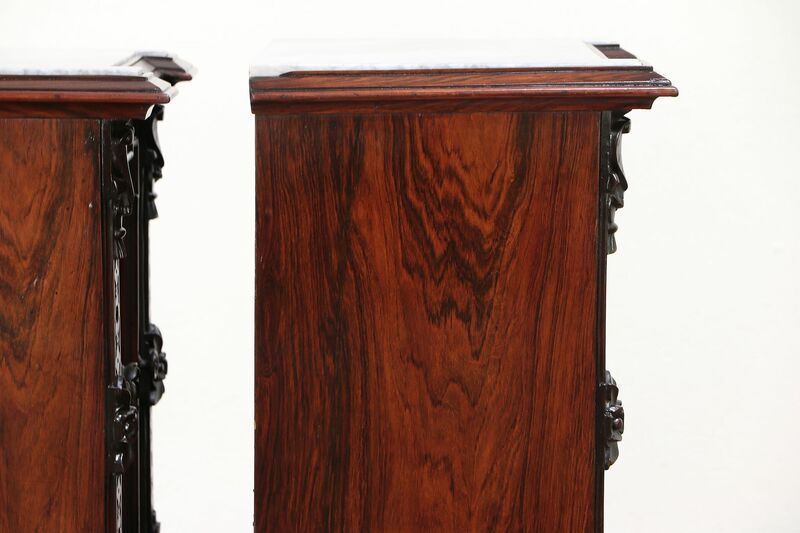 Dimensions are 19" wide, 14" deep and 31 1/2" tall.